SEO is something to think about no matter what part of inbound marketing you’re dealing with. Having solid SEO strategies for every facet of a digital marketing campaign will set your business up for success from day one. Whether it’s social, blogging, content creation or growth driven web design, SEO should always set the tone and lay the foundation. Below I’ve outlined a few of the key components of every inbound marketing campaign and the value of SEO behind each one. Social activity and SEO has been a sticky subject in the past. Back in 2014, Matt Cuts, the head of Google’s webspam team said that social signals, such as tweets or likes, are not a part of Google’s ranking algorithm. So, it’s not as straightforward as the success of your social channels directly translating into increased SEO rankings. However, the real value comes into play when social activity turns into social shares. If people are sharing your content via social channels it is gaining far more reach and exposure. As a result, people might link to your content, and that’s a big win for SEO. While there is no concrete data to support social media helping to increase a site’s domain authority, Backlinko recently published Google’s 200 Ranking Factors: The Complete List, stating “site-wide social signals may increase a site’s overall authority, which will increase search visibility for all of its pages.” As more traffic is coming to your site from trusted social channels, it will strengthen your site’s authority. SEO plays a very important role in blogging. First, you must decide on your keyword strategy for each blog post. Based on the topic of the blog and the keywords you are trying to increase rankings for, choose one or two keywords to use throughout the article. You don’t want to overdo it, though. Take some advice from my colleague Kelley for best practices on using keywords throughout your blog posts. Another thing to consider when optimizing your blogging SEO strategies is the length of your blogs. Google actually likes long-form content, around 1,500 words is ideal. A few other things to think about: hyperlinking to credible outside sources as well as to your own website is key. Hyperlinking to trustworthy websites tells Google that the content of your blog is legitimate. Lastly, ensure you are optimizing blog post titles and URLs. Whenever you create a new piece of premium content you need to create a landing page and thank you page to go along with it. While a gated piece of content doesn’t provide much SEO value in and of itself, your landing page will. H1 text gives you huge SEO bonus points. Try incorporating a keyword into the title of your page to attract organic traffic. Additionally, provide a resource that your target audience deems as valuable content. You are more likely to attract inbound links back to your website if you provide the reader with expertise and thought leadership they can’t find elsewhere. Before you even begin creating SEO strategies for the individual inbound components discussed above, it is a good idea to create an overall SEO strategy that then filters into each aspect of your campaign. First things first you’ll want to hone in on the keywords your business/brand wants to focus on. However, at the end of the day SEO isn’t easy. 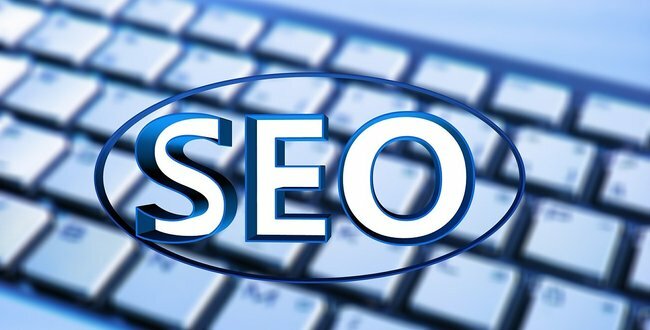 Turn to the help of SEO experts for lasting organic search engine results.